Bodies were flying out of the ring left and right. Every time a masked wrestler hit the ground, the crowd cheered louder. Even though the entire match was choreographed for maximum entertainment value, these wrestlers had skills. A normal person wouldn't be able to walk away from such aerial acrobatics. The trick to appreciating Lucha Libre, Gaby told us afterwards, was to have a few drinks beforehand. She'd been leading trips for G Adventures for several years, and attended the Monday wrestling matches in Puebla a dozen times or more. But it was with our group she said she enjoyed the experience the most. The difference was in the drinks. Instead of getting there at the official start time of 9pm, when the lesser known wrestlers are in the ring, we were busy taking drinks and playing Cards Against Humanity at the hotel. It was everyone but Gaby's first time playing the game, so it was new to us all. I can't remember the last time I laughed so hard, for so long. In addition to lubricating our sense of humor for the evening, it was also the night we really began bonding as a tour group. From the hotel, it was a 10-minute walk to the Puebla Arena (13 Oriente 402 in the historic city center) where the Monday night fights are held. Our tickets cost 85 Mexican pesos, or about $6.60. Because we arrived late, we were initially seated in a second tier bleacher section, which is what correlated with the cost of our tickets, but we were soon moved to floor seating behind the ring. A match of lesser wrestlers was going on as we got situated, and waved down the beer guy. A little more lubrication was only going to enhance the experience. The atmosphere inside the arena was energetic, and loud. Mexicans of all ages were in attendance, from kids wearing the masks of their favorite luchadores (wrestlers) to their parents, and other adults who seemed equally invested. This was as authentic a Mexican cultural event as you could hope for. And to my delight, it involved a few models walking down the catwalk to the ring, signaling the new matches. I might not have been familiar with any of the wrestlers, but cheering for the models walking by was an easy way to get engaged. And our group was VERY engaged, hooting and hollering with every wrestler that smacked down hard against the ring's floor, or went airborne over the ropes. In contrast, I occasionally glanced over at another obvious group of Western tourists to see them sitting in their section, stone cold sober. They were probably thinking this is a ridiculous show, totally fake, and why am I here? That would've been my reaction without the rum ‘n cokes beforehand, I assure you. The first full match we watched were the female wrestlers. 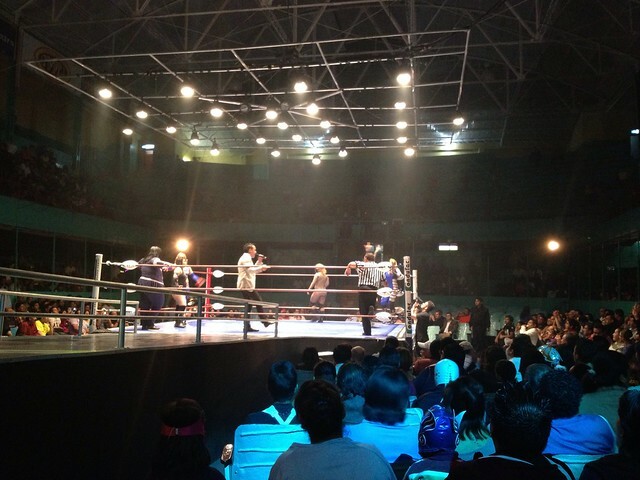 It was three on three, with the likes of Goya Kong and Luna Magica against Amapola and Princesa Blanca. The female wrestlers were more comical and exaggerated than the men in the following two matches. Over the course of the event, I noticed the better wrestlers were more nuanced, and also performed more complicated and harrowing acrobatics. Occasionally, one of the female wrestlers was thrown out of the ring, but it was nothing compared to what we'd see in the main event. After the ladies match, and another group of men, it was time for the main event. 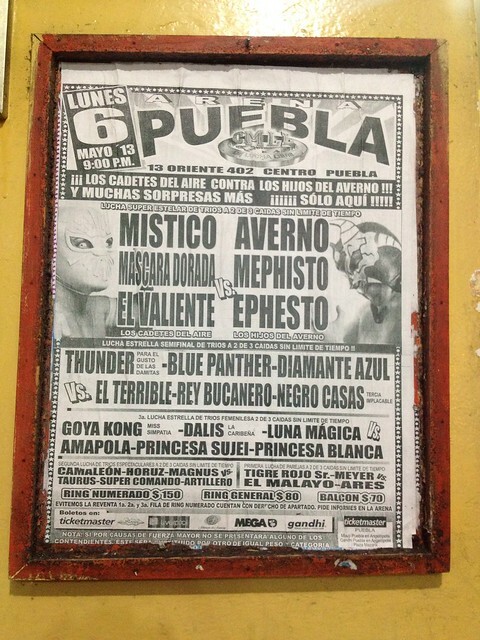 The headliners were Mistico, Mascara Dorada, and El Valiente versus Averno, Mephisto, and Ephesto. These guys were insane. My back hurt just watching them get flung back and forth against the ropes, being thrown up in the air only to smack back down into the floor. Overall, the whole event was a lot of fun. 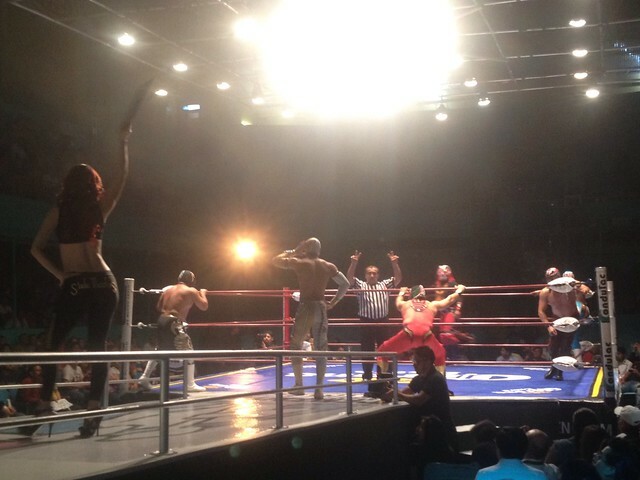 The key to enjoying Lucha Libre is not to take it seriously. It's entertainment, as well as a terrific opportunity to peer into a unique slice of Mexican life. Just remember to have a few beverages beforehand to loosen up your sense of humor and disbelief. 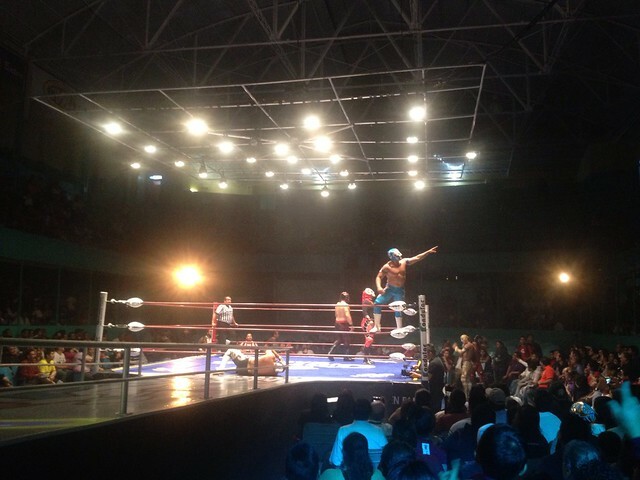 What do you think about Lucha Libre (Mexican wrestling)? The Historic Center of Puebla became a World Heritage Site in 1987. Click here for the full list of UNESCO sites Dave has visited during his travels. My Mexico Ancient Civilizations tour is in partnership with G Adventures. Any opinions expressed are entirely my own.